Fillings are one of the most basic methods of restoring teeth, usually when they have been damaged by tooth decay. Tooth decay happens when the enamel and dentine of a tooth become softened by acid attack, producing a cavity (hole). If the decay is not too serious, our cosmetic dentist will remove all the decay and restore the tooth with a filling. 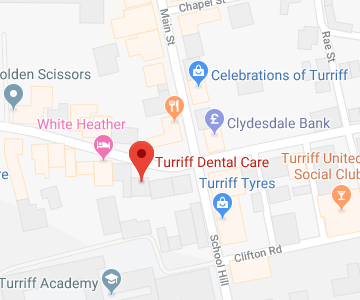 When we ask patients if there is anything they would like to change about their smile, they often say that they are not happy with their amalgam (grey) fillings. They can be quite visible, and having a number of them can make you feel very self-conscious about smiling or laughing. 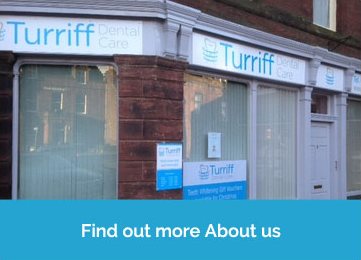 At Turriff Dental Care, we use some of the most recently developed white filling materials. These modern materials are strong and long lasting. They also come in a wide selection of colour shades so that, in most cases it is quite impossible to see that the tooth has ever been filled. If you would like more information or do discuss possible replacement of your existing amalgam fillings, please ask us. We will be happy to tell you more.